Pandora is raising cash to help it take on Spotify and other streaming music services. The online music service is selling a 19 percent stake in its business to satellite radio company Sirius XM for $480 million. Pandora will pay a $22.5 million breakup fee to private equity firm KKR for breaking up a previously agreed $150 million deal. Pandora, which is based in Oakland, California, will raise another $200 million selling its Ticketfly ticket service to Eventbrite—a service Pandora bought for $450 million in 2015. Pandora works as an internet radio, and most users listen for free. But its financial losses have deepened in the past few years while its user base has been stagnant, and in March it launched a subscription service that copied the strategy of competitors like Spotify and Apple Music. Like those apps, it can now charge users and then let them pick the songs they want to listen to. Sirius will be able to pick three people for Pandora's board, one of whom will be chairman. Most of Sirius' listeners are in cars, and by investing in Pandora, it gets entry into the digital radio business. Analysts say there are opportunities for the two companies to collaborate and bundle products. 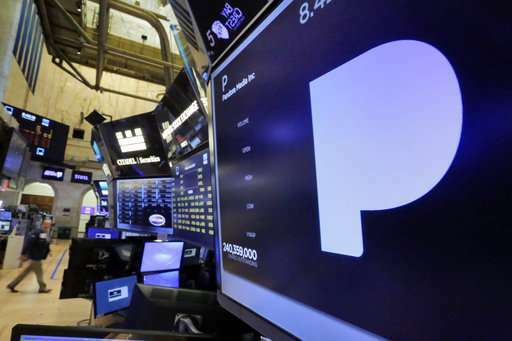 Pandora Media Inc. shares rose 10 cents, or 1.2 percent, to close Friday at $8.52. Shares in New York-based Sirius XM Holdings Inc. dipped 20 cents, or 3.7 percent, to $5.20.